Blue Sky has taken the exciting decision to open a Rising 5s room, the Kelpies room is dedicated for the children starting school in the next year and offers a unique opportunity for the team to focus on helping the children prepare for starting school. The team are focussing on helping the children become confident independent learners. To compliment this, the team are adopting a combination of ‘In the moment planning’, ‘the curiosity approach’ and ‘loose parts play’. 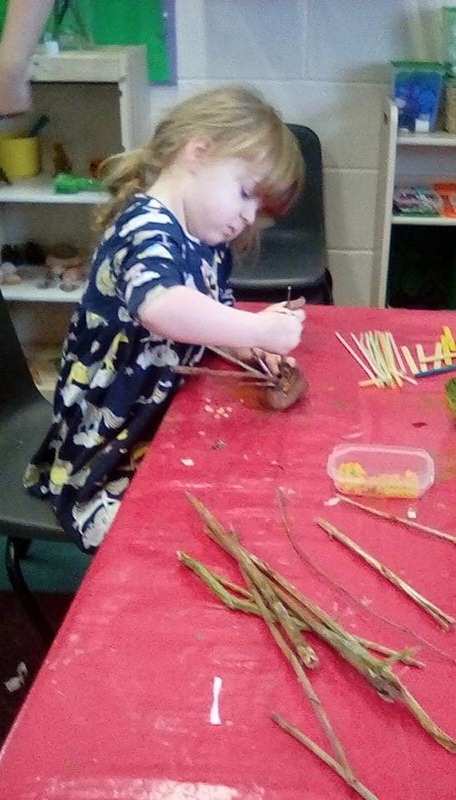 We all remember as children finding a clothes peg and imagining it to be a person or taking a stick and some cloth and spending hours trying to build a den, the curiosity approach and loose parts play offers the children an opportunity to do exactly this, to take loose parts and convert them into anything their imagination desires. 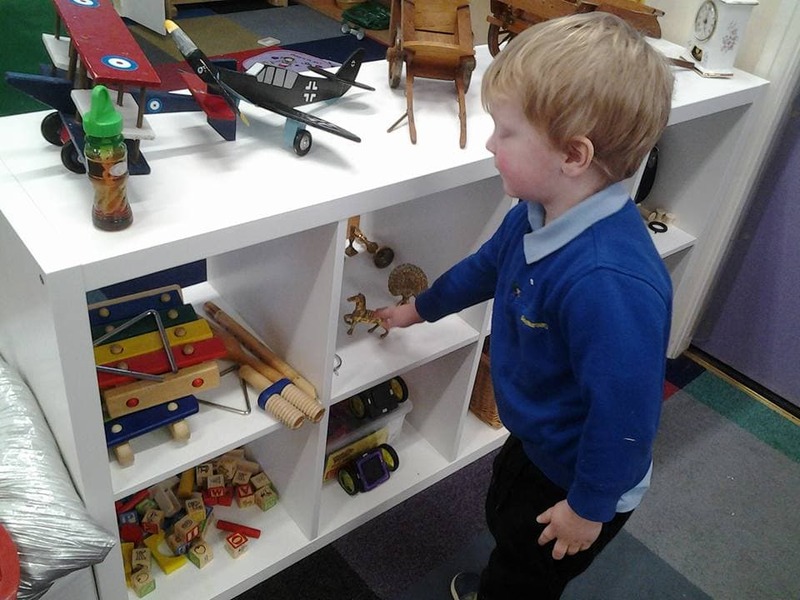 Loose parts play unlike other play activities has no designated outcome; there is no expected end product, no picture or model to take home or display but it does encourage free imagination with no boundaries or restrictions. The children are encouraged to play and explore as they wish, letting their creativity run riot. 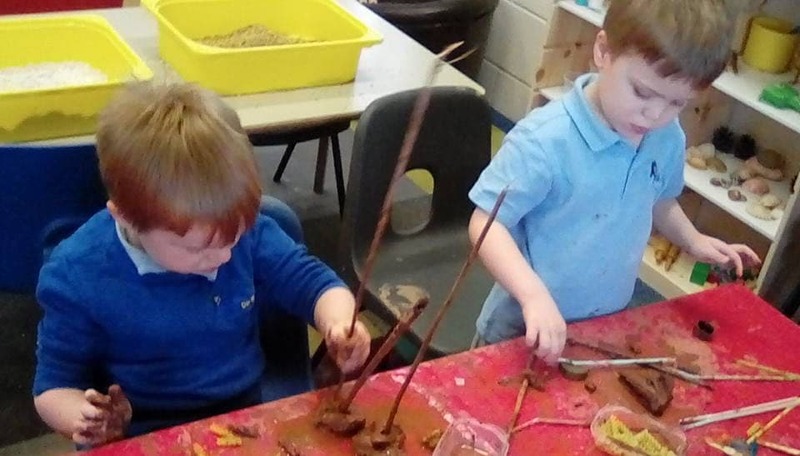 As the name suggests loose parts play makes use of many different loose parts, small and large, lots of which are natural resources such as leaves, stones and pebbles, planks of wood, wooden slices or mud, clay etc., but not exclusively, so we also use buttons, ribbon, tyres, small ornaments, metal objects such as kitchen utensils or door handles and locks anything really that the children can then use in any way they wish. So corks maybe used as a raft, a stool, a paint medium, a rocket, anything at all that the children’s imagination will allow. Whereas in traditional nurseries and preschool settings play food would be coloured plastic to resemble the food it was intended to represent as but in loose parts play a small slice of wood can be used as a plate, a slice of cheese or ham or cucumber or a flying saucer, a bed, the sun, a pond, a face, a stacking material ….. the list is endless. Loose parts play is also an excellent use of outside time and as we have such a fantastically big space outside at Blue Sky the loose parts play can also get big and bold. This allows the children to make dens with branches and wooden logs or play and experiment using water and drain pipes, straw bales and tyres or the budding ‘masterchefs’ can make wonderful creations in the mud kitchens. 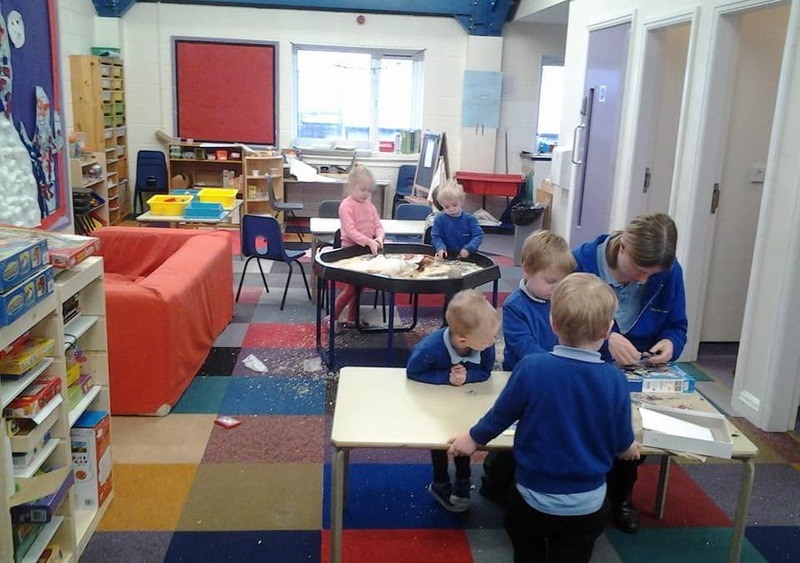 Loose parts play is also being introduced and encouraged throughout the other rooms in the nursery in order to prepare the children for when they advance into the Kelpies. 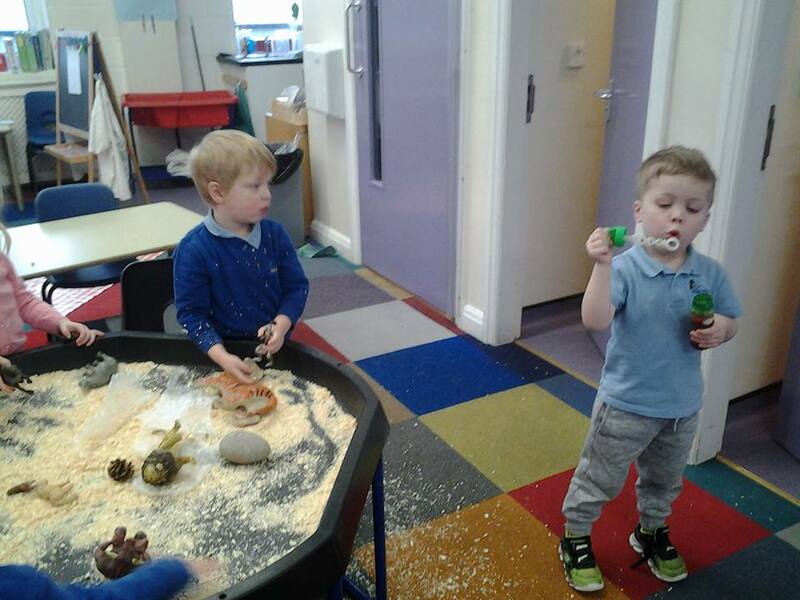 This is being done through a process called provocation which encourages the children to use the loose parts with familiar activities like playdough or glueing and sticking activities. These activities do have an end product but they are a great way for the children to experiment adding loose parts to other activities. 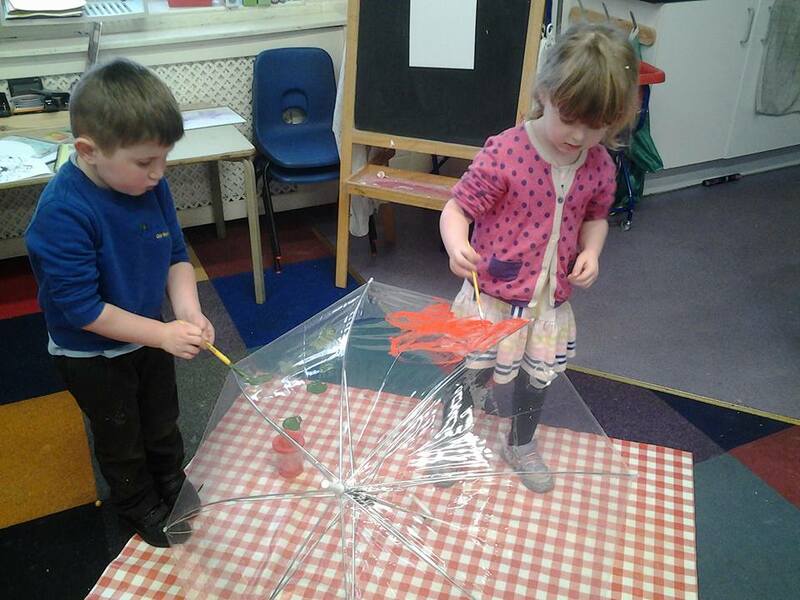 The Kelpies will still all be learning through exciting, interesting, imaginative and creative play activities but as these are the children that will be starting school in September these activities are more focussed on Language, literacy, maths and mark making development. So far the children in The Kelpies are coming on in leaps and bounds; overall their behaviour is improving as is their concentration and memory skills. It’s clearly going to be an exciting time at Blue Sky so watch this space for further updates and feel free to get in touch if you have any queries or questions regarding The Kelpies or any of our care rooms or services.